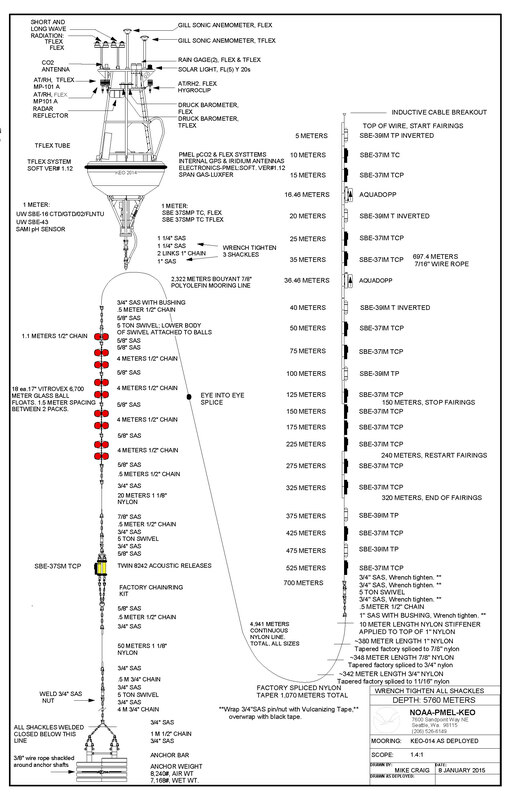 OCS moorings are surface buoys, anchored in place with either a taut-line or slack-line mooring design. 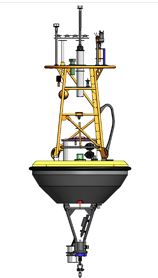 The surface float is a fiberglass-over-foam discus buoy, with a central instrument well. It has an aluminum tower, and a stainless steel bridle. The mooring may include wire rope, nylon, polyolefin floating line, glass float balls, and chain. Anchors are recycled train wheels. 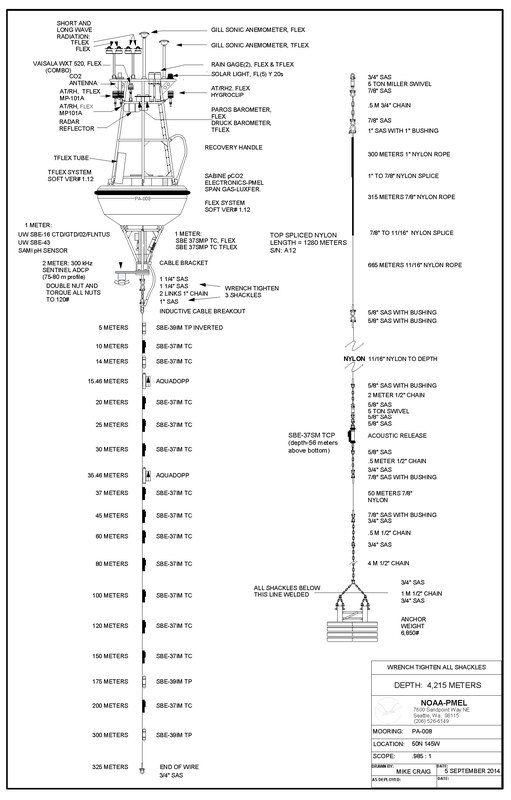 In order to keep the surface buoy close to one nominal position, some moorings have a mooring length that is shorter than the full water depth. The ratio of the mooring length to the water depth is called the "scope." 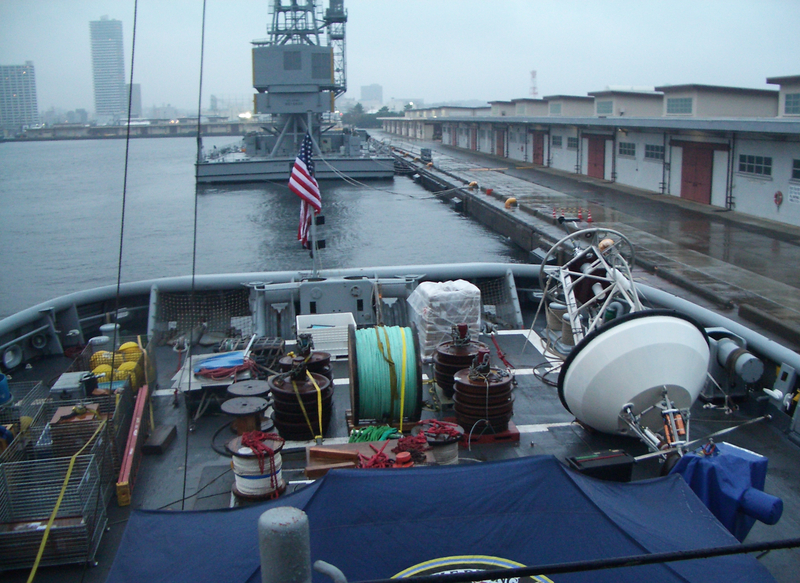 On taut-line moorings, the scope is less than one. This keeps the line stretched tight, so that instruments on the line do not have much vertical movement. The OCS Papa mooring uses a taut-line design. In areas where there are strong currents, the mooring length must be longer than the water depth. The scope is greater than one. With the longer mooring line, the surface buoy can move over an area called the "watch-circle." By allowing the buoy to move with the currents, strain on the line is reduced, which prevents breaking the mooring line, or moving the anchor. Designing the top portion of the mooring line to be heavy, and the bottom portion to be buoyant, called a reverse catenary design, helps to keep the top portion hanging straight up and down in the water column. However, there is a lot more vertical motion allowed for the subsurface instruments. The nominal depths (distance on mooring line) should NOT be used for sensor depths. Instead, the time-varying subsurface pressure of the sensor should be used to determine the measurement depth. Both KEO and ARC are slack-line moorings.